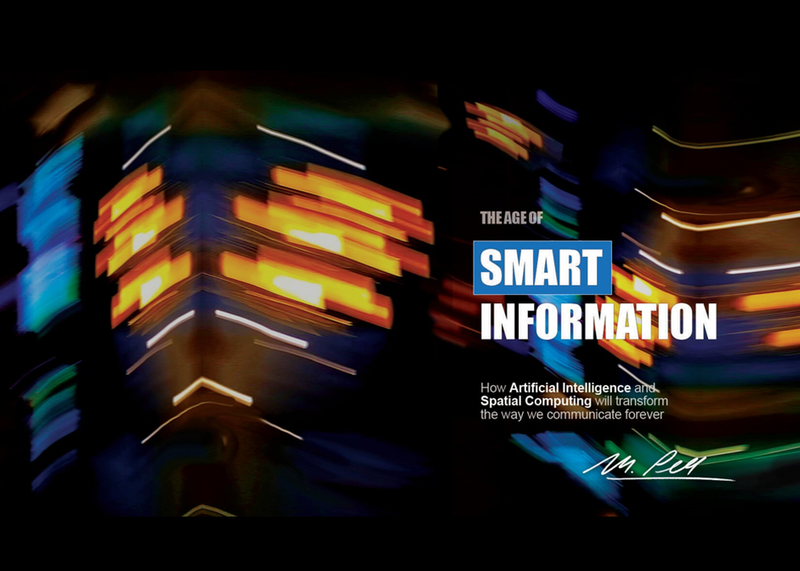 How Artificial Intelligence and Spatial Computing will fundamentally transform the way we communicate forever. Deceptively powerful and stunningly beautiful, this monumental leap forward in conveying information has always been right there in front of us, waiting to be unlocked, hiding in plain sight. All it took was the convergence of human ingenuity, artificial intelligence, and the rise of a medium capable of magic. Welcome to the age of “Smart Information”.